In Korea, people who live a mundane life vaguely dream about living in a foreign country. Something which is tempting to them is the working holiday. Actually, there are around 40 thousand people who participate in the working holiday program. 30 thousand of them choose to go to Australia because of its magnificent Mother Nature and glossy culture. Are you also dreaming about a working holiday in Australia? Do not become too big-headed. Australia is a place that many people leave for with only a passionate feeling and return from with only a painful reminiscence. The UOS Times will discuss the working holiday to Australia in depth, going further as to giving a survival guide for UOS students that visit Australia. What is the Working Holiday? The working holiday is a system which offers participants the opportunity to go, seek employment, and study language abroad while experiencing the local language and culture. While you are preparing for your working holiday, one of the important things to consider is the visa. Anyone between the ages of 18 and 30 can apply for an Australian working holiday visa through the Australian governmental website run by Department of Immigration and Border Protection. 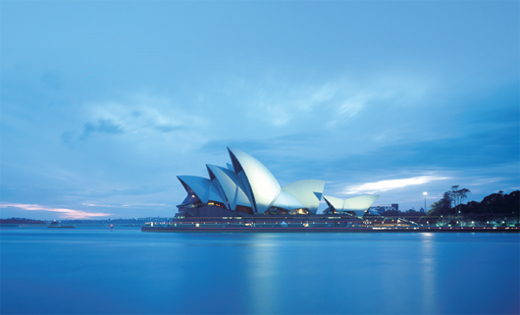 (www.immi.gov.au/e_visa/working-holiday.htm) The visa application fee is AU$ 365, and one should own a passport and a credit card that is valid abroad. You have to get a physical examination at the appointed hospital after applying for the visa. If you are in good physical health, your visa will be approved in two weeks. You have to enter Australia to take part in the working holiday within a year after the visa is issued. You can stay for one year from the date of entry stamped in your passport. You can study English for up to four months at a language school. In the case of employment, there is no limit on the type of occupation, but you can only work for up to six months with each employer. There are four types of accommodation for participants on a working holiday visa: backpackers, homestay, house share, and house rental. When participants go on a trip, they usually stay at backpackers accommodations. There are many different kinds of rooms available: a single room, a double room, a dormitory for six people, and etc. The dormitory, sharing with strangers, is around AU$ 25 per night, and a single room is AU$ 50 per day with a common shower room, bathroom, and kitchen. It provides you with a chance to become friends with foreigners, but you should pay attention to burglary. If you choose a homestay, you can board with an Australian family. You can experience the Australian culture through living with natives. Homestay, however, is expensive, and you are under restrictions not to interfere with the family. A house share literally means living together with somebody while renting a house. You can find housemates through the Internet or local magazines. Thus, not only is the house itself important but the housemate as well. Renting a house is also a lease in your own name. The contract period is usually three months, and two weeks’ rent and bond should be paid in advance. Checking the furniture and the Entry Condition Report are what should be done before moving in. Australian Government only allows up to four months at language academies to study English. You can either contact schools yourself or contact agencies that help students place in language schools. You should look for information as much as possible because school fees vary depending on the time of year, the class and the level of school. There are also private institutes and university institutes. Fees of private institutes are inexpensive, and they have a friendly atmosphere. For those with poor English abilities, private institutes may be a better option because they offer short-term courses, activities for students to socialize with each other, flexible schedules, and many extra facilities. Thus, it is a good chance to kill two birds with one stone. A university institute is an English language school founded by university. There, students can use the facilities of a university just as real university students do. Curriculum of university institutes is more systematic and academic than that of private institutes. Therefore, a certain level of English skills is required to follow the lessons. There are three ways to gain employment in Australia. The first way is through a help-wanted column in the local newspaper. The second way is through a recruitment agency. It manages applicants’ identities to help them find them a job. It does not require a referral fee, but it receives some commission through weekly payment. Commission differs among the recruitment agencies. In this case, you should take note that some recruitment may agencies swindle people out of money under the pretext of finding them employment. The third way is an online job-search site. Just a few mouse clicks will find some work for you since there are many available websites. All three ways require a resume in English. In order to get a job, it is recommended to write a distinctive resume than a stereotyped one. You must submit your resume except for farm and factory work. There are two general types of job for participants on a working holiday in Australia: farm jobs and city jobs. It is your English ability that decides your job. If you are proficient in English, you can get relatively high wages. If not, you will have to change your employment from one farm to another. If you have some professional skills, they are helpful to find a job requiring themselves. However, most of these skills require a strong ability of vocabulary. If your English is not good, there is no way to use your professional skills. On the other hand, great English ability can take you to higher-wage jobs that do not require professional skills. Without great English ability, you can get a job like street cleaner, dishwasher, car washer, and porter in the city. On the other hand, you can take a farm job in the rural areas. The type of farm work depends on the season. Most farm work is harvesting fruits. Some participants of the working holiday look for the farms where they will work before leaving Korea. The farms have become well-known in Korea are also famous in Australia. Workers who work on these types of farms are likely to be treated poorly and receive low wages because there are many people in line. Therefore, it would be wise to look for unknown farms which give higher wages because of the shortage in labor. Most participants suffer from many kinds of problems while working on a farm. They think they can earn a lot of money at the farm. The reality is completely different, however. As mentioned above, many people want to work at famous farms for higher wages. Thus, it is difficult and more stressful to work at such farms. The harvest season is just two or three months. This season is likely to go by quickly, limiting the time you can earn money. Most work at farms is harvesting and farmers pay workers based on the amount of crops harvested. If your crops are poor in quantity, wages will also be poor. In such a case, the commuting and housing cost can exceed your wages. It is hard to move around to different farms for work because farms are far from the city, and the transportation cost is considerable. In addition, you have to pay attention because some farmers abuse workers and create sweatshop conditions. Some cunning agencies that help students enroll in schools swindle students to make money. Sometime, they sell a program that guarantees students both language education and employment in Australia. There are, however, many cases in which students cannot secure the job they want or find out, if the agency has given them, an entirely different job. In these cases, you have no choice but to get advice from more experienced students. Another problem that Korean students faced in Australia is gambling. Many participants of the working holiday return from Australia with unworthy experience and wasted time because of casinos. It is not easy to visit casinos in Korea. In Australia, however, gambling is legal. Participants can easily go to the casinos. The casinos also offer some services to attract potential customers. The casinos give them free beverages, admission to a show, and even some casino chips. These are very dangerous lures. Just one drink can lead to bankruptcy. There are many Koreans who gamble away their entire property. You should think twice before going to the casinos. The participants of the working holiday often start only with a passion and later face barriers and return to Korea. It all depends on what the individual does in Australia for the year and what memories he or she has. There is no golden road, but breakthroughs do exist. Anyone can have a fruitful year by thoroughly preparing and being strict in his or her selfdiscipline. How long did you study for your Korean SAT which is only a one day exam? Then, how long would do you spend your time for working holiday which is a year-long adventure into the new and the unknown? The UOS Times provided you with the A to Z of working holiday and survival tips for it. The result depends on your choice. Q. What does an applicant need to know before he or she applies? To be granted a working holiday visa, the applicant must hold a passport issued by the Republic of Korea. The applicant also needs to be outside of Australia when he or she applies and, when his or her visa is granted. He or she has must have access to sufficient funds; generally AU$ 5000 and a ticket to leave Australia or the money to purchase a ticket. The applicant must meet certain health and character requirements. The applicant must declare that he or she will respect Australian values and obey Australian laws. It is recommended that Working Holiday visa holders submit health insurance. Q. What does an applicant need to know when completing the application form? The applicant has to provide his or her name and personal details exactly as they appear on his or her passport including hyphens, apostrophes and spaces. The applicant should answer all questions truthfully, including whether he or she intends to enter a classroom or a healthcare environment. Any failure to provide correct information can delay processing and may result in his or her visa being refused or cancelled. Q. What happens after the applicant submits his or her application? If the applicant applies online, he or she will be provided with a Transaction Reference Number (TRN). He or she should record it and keep it in a safe place and be ready to quote this when communicating with the Department of Immigration. The applicant can check the progress of his or her application online using his or her TRN. The processing time is six days for working holiday visas after all required information has been provided. Contacting the Department of Immigration to check on the progress of his or her application may delay processing. The applicant will be advised in writing when a decision has been made on his or her application. Q. What does an applicant need to know when communicating with the Department of Immigration? For identification purposes, the applicant must provide his or her TRN, passport number, and name. The applicant should use the same email address to avoid confusion and should not send repeat emails, as this may delay processing. When responding to emails from the Department of Immigration, the applicant should keep the original subject line of the email and provide the department’s email below his or her response. Finally, the applicant should reply in English.